Water is the elixir of life on earth. Water crisis is a looming threat to many countries including India. Water crisis in India manifests itself through severe drought during summer every year. Drought in India due to atmospheric whims of nature causes crop failure, a major reason why Indian farmers commit suicide. About 600 million people are facing acute water shortage in India, according to the Niti Aayog, an Indian government think-tank. Since necessity is the mother of invention, everyone from schoolchildren to social activists to self-motivated individuals is trying different ways of water conservation to fight water scarcity in India. Just as every dark cloud has a silver lining, every drought-hit region has an inspirational story of water conservation. We at Travel Beats curated such stories of fight against water crisis from across India so that everyone is inspired to conserve water. A few thousands of schoolchildren in the state of Maharashtra, where severe water crisis has caused life-taking drought, have set an inspirational example of water conservation. 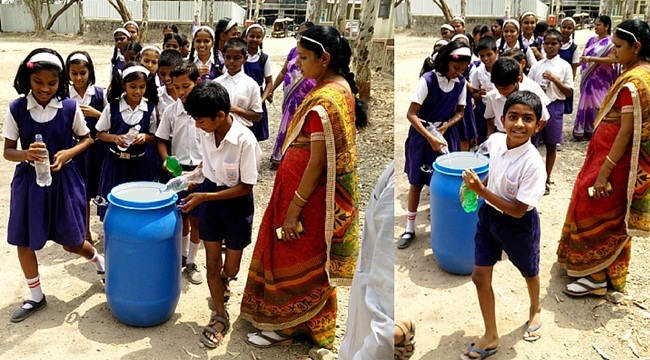 Some 7000 schoolchildren in Pune are saving and conserving leftover water from their bottles in large drums at their schools. The collected leftover water is used instead of fresh water to clean school premises and water plants. Initiated by two Indian entrepreneurs Vedant Goel and Yusuf Soni, this water conservation campaign is one of the promising solutions to water crisis in India. Some Pune schools have kept buckets at their exit points, which students empty their bottles into while leaving for the day. Rural women are the most-affected victims of water scarcity in India. They spend 6 to 9 hours a day to transport 30 to 40 liters of water on their heads, ignoring its health consequences like back pain and neck injuries. But a group of 20 women in rural backwaters of Kerala is hell-bent on changing the picture. They have dug more than 100 bore well in a year to tide over water crisis in their villages. Similar is the story of the women in Khandwa district of Madhya Pradesh, who dug a well in just 40 days rather than blaming their fate or nature or god for water shortage in India. When some men came forward to help them, they chose to rewrite the destiny on their own. While many people talk about water crisis and drought in India 2016, Ayyappa Masagi from Karnataka has practically found and tried a solution to it and that is water conservation. Born into a poor farmer’s family, he faced water problems in childhood and used to wake up at wee hours to fetch water, which inspired him to find ways of water conservation. A mechanical engineer having 23 years of experience at a multinational corporation, Ayyappa Masagi responded to the call of earth and constructed many lakes for water conservation. He studied and practiced non-irrigation agricultural methods as solutions to water crisis which causes drought, thereby leading to Indian farmer suicides every year. This Water Gandhi of India found a mention in the Limca Book of Records for having created over 600 lakes across rural India. Two final year students of IIT-Bombay have proven it by collecting plastic waste and giving clean drinking water in return. They have built a revolutionary machine which accepts used cans or bottles and dispenses 300 milliliters of drinking water in exchange. Developed by Anurag Meena and Satyendra Meena at IIT-Bombay, this environment-friendly project will not only encourage people to recycle waste but also relieve them of drinking water crisis during summer. 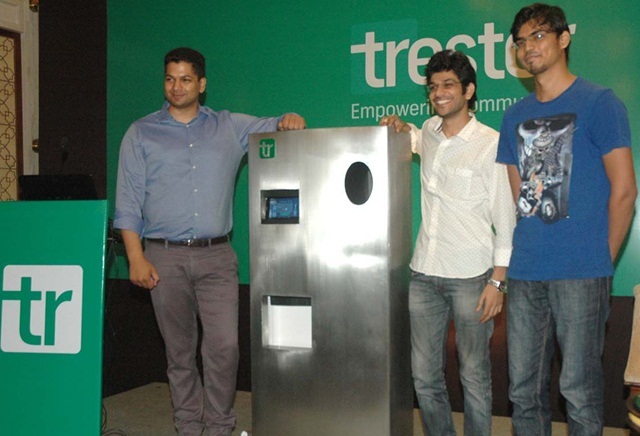 Trestor, a Chandigarh based startup, has funded the project to help manufacture these ‘swachh’ machines. Like farmers, women are also affected by drought and water crisis in rural India. They walk miles to fetch water from remote sources. 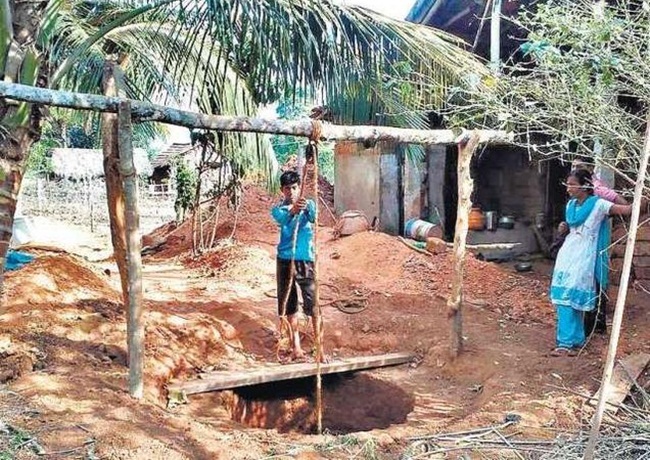 A 17-year-old boy in Settisara village of Karnataka has dug a 55-foot-deep well in the backyard of his home for his mother. Since his family couldn’t afford to hire laborers for such an arduous work, Pavan Kumar took advice from a local hydrology expert and dug the well where water could be found. It took him 45 days to make this impossible possible, including a brief period of preparation for his pre-university exams. While clean drinking water is a luxury for millions of rural people, he put an end to water problem for his family. A church in Delhi came forward to serve free drinking water to those who cannot afford bottles of chilled water this steaming summer. 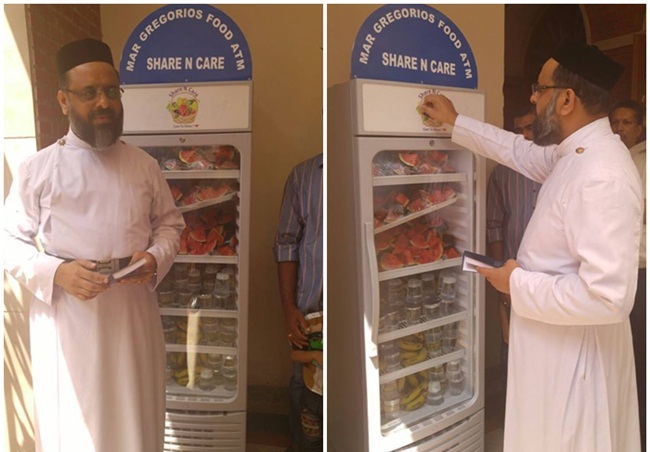 The Mar Gregorious Orthodox Church in Janakpuri has put a food and water vending machine in the neighborhood to save the needy from furious heat. Named Share N Care and stocked with water packets as well as fruits, the machine will be functional throughout this season. Latur in the state of Maharashtra, one of the most-affected regions of drought in India, has one silver lining amidst rainless clouds over its people. 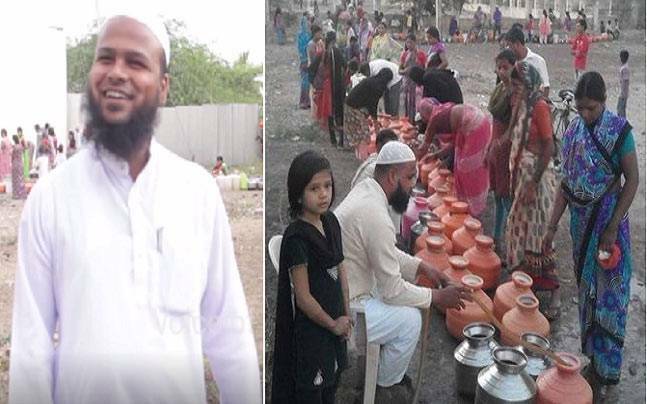 Sheikh Mateen Musa, a mathematics teacher, has been giving away free water to the people hit by severe water crisis in Latur for three months. He distributes nearly 10,000 liters of water from his bore well without any condition or compensation every day. His generosity is the elixir of life for around 300 households during water shortage in Latur. 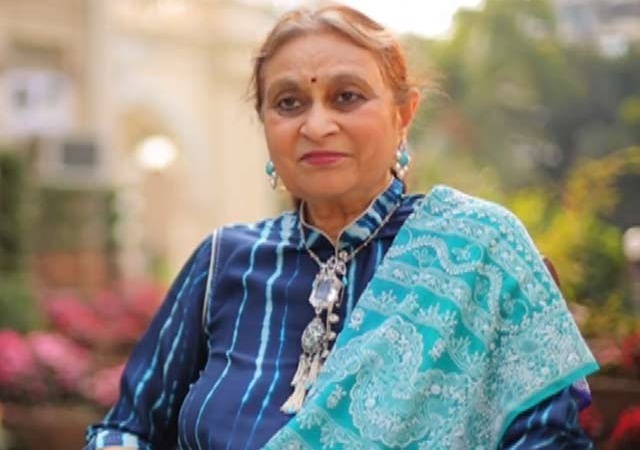 Mumbai-based social activist Amla Ruia belongs to this category. She helped the farmers of 100 drought-hit villages in Rajasthan with traditional water harvesting techniques. Her NGO Aakar Charitable Trust got 200 check dams built to save thousands of lives in those Indian villages. Instead of just pondering over why Indian farmers commit suicide, Amla Ruia is practically more inclined towards solving water crisis in India with a sustainable solution for water conservation. 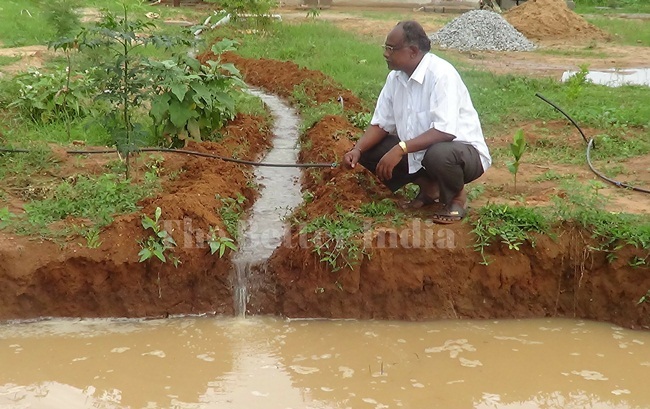 The thought “How to save extra water that goes waste in the process of watering plants” moved Dr. Anumakonda Jagadeesh from Vellore in Tamil Nadu to find a solution to conserve water. 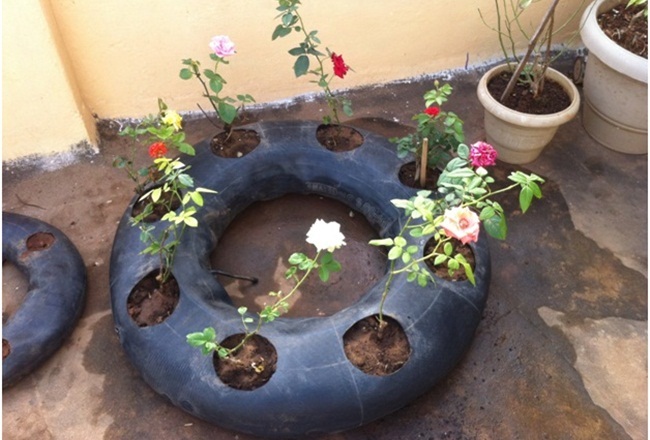 He began using tubes from discarded car or bike tyres instead of pots to prevent evaporation of water from soil. He cut three or four holes into the tube on one side and filled those holes with soil. Used tyre tubes cost cheaper and do not get affected in sunlight. Water is not evaporated from the soil in tubes. Dr. Jagadeesh, a renewable energy expert, has executed many water conservation projects in India. It’s absolutely true about Abdul Gafarasab Mulla in Yadgir district of Karnataka. Unlike those who store water as the most precious commodity in times of water crisis, he generously distributes water from his bore well to help farmers save their farmlands and livestock from scorching heat. He has left the trench in his farm, which is filled with water from the bore well, open to all. Those grappling with water shortage in neighboring villages as far off as 3 km fetch water from Abdul’s farm to survive this sizzling summer. Inspiration is not bound to geographic or demographic barriers. Travel Beats, an Indian community portal by Indian Eagle Travel, publishes inspirational stories, interesting articles, and latest visa, immigration and aviation news. Have you got an inspirational story to share? Write to us at share@indianeagle.com. Connect with us on Facebook and Twitter.